PepsiCo Change the Game is the innovative business competition where contestant came up with the new business idea for PepsiCo and in this year, the theme is the healthy product. Our team, Palette consists of us, Siraphat Phattarabenjapol and Pattaraporn Sapumnuayporn with the idea of �Palette- Happiness in your Hand�. Throughout the year 2017, we passed through various stages of business pitching and presentation and in December, we conducted the final presentation at AMENA PepsiCo headquarters in Dubai and receive the grand prize awards. 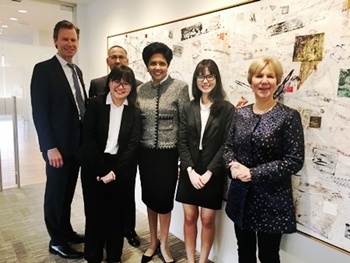 For over 6000 participants, we were selected to receive the chance to present our own ideas to PepsiCo CEO, Miss Indra Nooyi, one of the most powerful women of the world along with leaders from different departments. Before going to meet them, PepsiCo�s team came up and coach us with many sessions in all aspects. We got chances to learn more practical about doing businesses with professionals in each category and shaped our presentation to be the best and ready to present. Our journey with PepsiCo does not stop here. 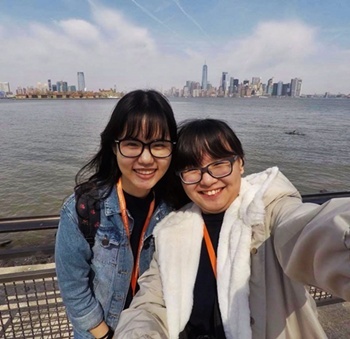 In this summer, we will attend the paid internship programs with PepsiCo in Shanghai, China with all cost provided. We will be looking forward to the next step of our story as it just begins. Posted date: April 26, 2018 by Sochaya T.